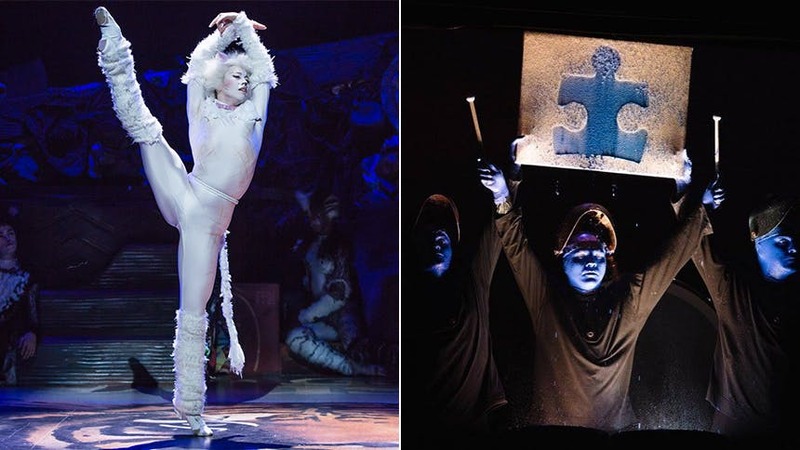 See Autism-Friendly Performances of Cats and Blue Man Group This Summer! Families with children on the Autism spectrum have two more opportunities to catch Autism-friendly performance of celebrated family-friendly shows. First up is Andrew Lloyd Webber’s classic Cats on July 16 at 2 PM. As part of TDF’s Autism Theatre Initiative, Cats is performed in a friendly, supportive environment for families and friends with children or adults who are diagnosed with an autism spectrum disorder or other sensitivity issues. Slight adjustments to the production are made, including reduction of any jarring sounds or strobe lights focused into the audience. Quiet and activity areas staffed with autism specialists are available in the lobby areas for those who need to leave their seats during the performance. Then the long-running hit The Blue Man Group partners with Autism Speaks to offer autism-friendly performances in Chicago (July 16 & October 1), New York (November 4), & Orlando (December 9) with $5 from each ticket will be donated to Autism Speaks. For Blue Man slight modifications are made to the shows, including reducing sound and light levels at various moments and making earplugs available upon request. The Blue Men keep their approach to the audience more subdued and limit the amount of direct interaction with the audience. Blue Man Group also create calming environments outside of the performance for families seeking a break from the excitement.